Disasters happen. Floods, electrical outages, labor issues and more. It’s not something we hope for, but it is something we must plan for. Most companies think Disaster Recover or DR is about computers and servers being operational. It’s more than that. It’s about ensuring the revenue in your company continues to flow. It’s about the outgoing bills and incoming revenue continues to operate in spite of the disaster. That’s where Captum Technologies comes in. Print-to-mail and Print-to-email are vital to the continued revenue recognition. If a disaster strikes, we immediately take action and begin implementing your backup plan for printing and emailing your bills, invoices and statements. Using your output from the mainframe, backup archive mainframe and the Ricoh Process Director or other data flows, your critical documents are directed to one of two data centers for processing, review, approval, printing, mailing, emailing and web output. 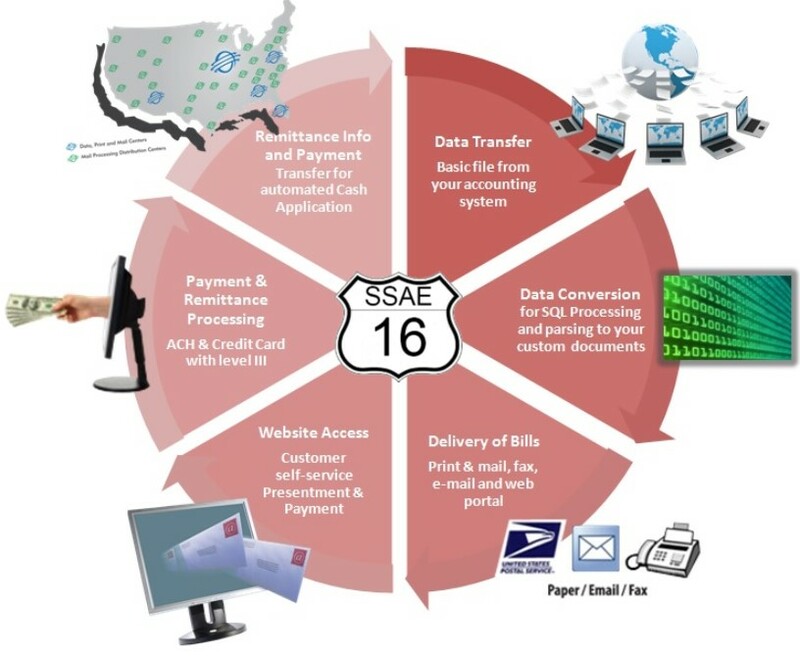 The centralized data center, located in IL, is SSAE16 and PCI compliant guaranteeing 99.7% uptime. Additional data and print centers include Tempe, AZ, Portland, ME and Miramar, FL. All facilities are diverse Tier 1 data centers. All servers have redundant backup in the facility in IL. Contact Us today to learn more about our Disaster Recovery solution for critical document processing.